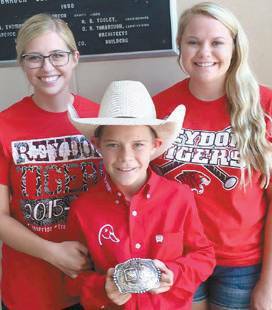 Cole Hartley, an 11-year-old from Reydon, Okla., recently became the Junior Rodeo Cowboys Association (JRCA) Reserve Champion Steer Rider. “I am so proud that I did so good for my first year,” Hartley said. Hartley spent his summer competing at rodeos across the Texas Panhandle.